The European Investment Bank (EIB) will open its first office in Latin America, a decision made as a result of its “growing” activity in the region. 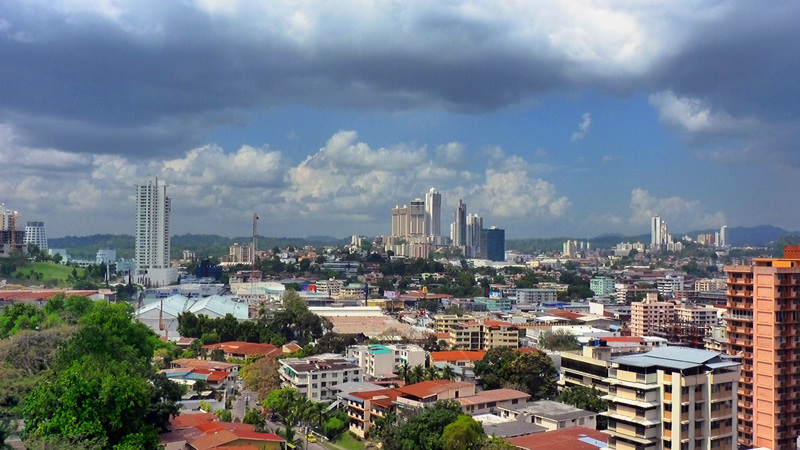 The decision to open shop in Panama was announced on 28 January by EIB’s Vice President Román Escolano, who is of Spanish nationality. “We announced to the government of Panama the decision taken by the European Investment Bank to open a regional office in Panama. It is the first, and currently the only office we have in Latin America,” he said during an interview in Panama City. The bank has chosen Panama for its “strategic position” and because it is the country in Latin America that receives the most loans from the institution after Brazil, Escolano said, adding that the offices will open “soon”, in the first half of 2016. “We benefit from the best will from the government of Panama to facilitate this deployment, which they also understand as good news, and we hope to be effected during the coming months,” the executive added. The EIB, which is the institution of long-term financing of the European Union, whose shareholders are the member states themselves, invests on average €600 million per year in various development projects in Latin America, whether implemented by governments, or the private sector. In the Central American country, the bank has participated in seven projects, most notably the Panama Canal expansion and construction of the second bridge over the waterway, and has provided so far a total of €751 million, Escolano said. The EIB official used the visit to the country to provide a €44 million loan aimed at expanding the sewage plant Juan Diaz, located just outside Panama City. “The project will double the capacity of existing water treatment of 190,000 cubic meters and will have a positive impact on the quality of services and the urban environment,” said Escolano. The EIB was created in 1958 and began operations in Latin America in 1993. So far, it has participated in 90 projects in 13 countries in the region, for which it paid €7.7 billion. Investment demand in Latin America “remains sufficiently robust” despite the economic recession gripping the region, which is now more equipped to cope with unfavorable macroeconomic conditions than it was three decades ago, Escolano said. The International Monetary Fund (IMF) has predicted that Latin America will continue to contract in 2016, with the economy shrinking 0.3% mostly due to the poor economic data in Brazil. It will be the first time since the 1980s that Latin America will experience two consecutive years of economic decline. Although the economic context is now “more complicated than it was a few years ago and the large cycle of raw materials seems to have ended”, different interests are increasing and the region is well-equipped to handle the situation, according to the EIB vice-president. “In many Latin American countries, we are seeing that there is a demand for investment, especially in infrastructure, public transportation and renewable energy – sometimes even exceeding the bank’s capacity to meet rising demands,” said Escalano. Brazil, “for its own size and the importance of its economy” accounts for 40% of the institution’s activities in the region, followed by Panama. “We do not work according to country quotas, there is no fixed or predetermined volume of activity for countries, but we decide to invest based on good projects,” Escalano said. In general, the EIB finances large infrastructure projects, such as construction of subways in Lima and Quito, private initiatives for small to medium sized enterprises (SMEs) and activities to combat climate change. “The bank has committed 35% of its funds to activities to combat climate change outside of the EU,” Escolano concluded.